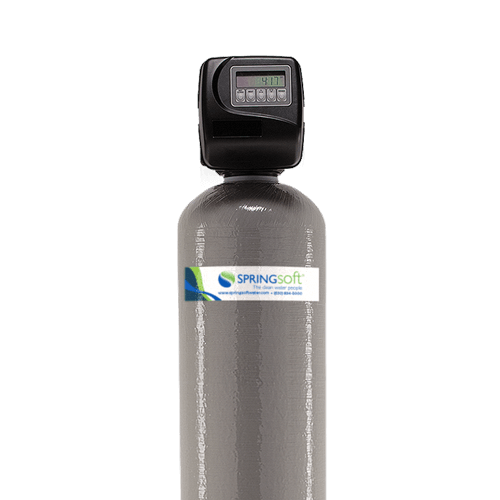 A Springsoft demand water conditioner will allow you to enjoy the benefits of clean, softened water for your home or business in a cost effective and efficient manner. 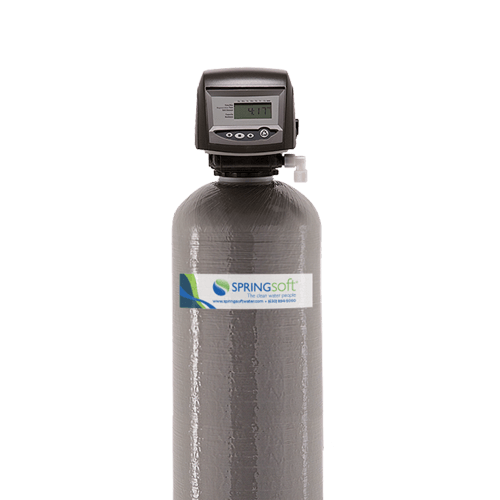 Our pre-programmed control module constantly monitors your water usage to maintain consistent water quality while keeping regenerant consumption at a minimum. The back-up system will maintain current time during power outages to maintain proper regeneration time. Single tank systems consist of a resin tank and a regenerant storage (brine) tank. Incoming water enters the media tank and runs through a bed of charged resin beads. Hardness minerals are attracted to the resin beads and the soft water exits the media tank into the water supply. The system is equipped with an on-board meter to monitor the water used. After a certain number of gallons are consumed, the system will recharge the resin beads with a regenerant solution. This occurs at a predetermined time when water is not typically used. 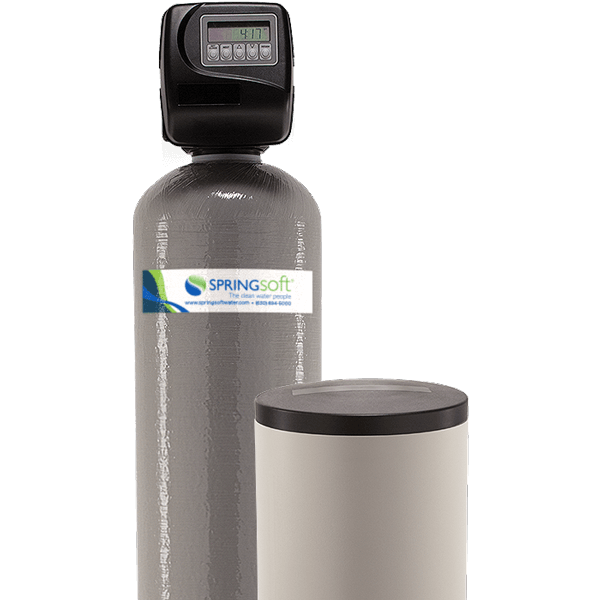 A reserve capacity is built into our calculation to assure that soft water is maintained until the regeneration time is reached. 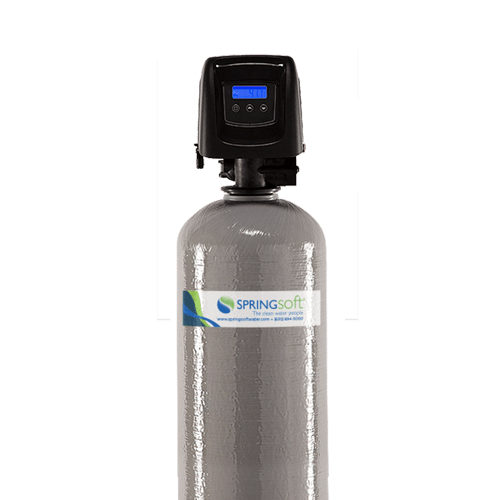 Springsoft demand water conditioners are designed to provide years of trouble-free performance while being friendly to both your budget and the environment.